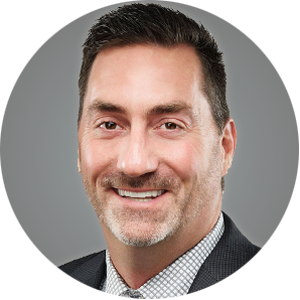 Mark E. Rose is chief executive officer of Avison Young and chairman of the board of directors of Avison Young (Canada) Inc. He manages all strategic, financial and operational activities of this full-service commercial real estate company, which provides solutions to real estate investors, owners and occupiers throughout the world. In his eight years with the Toronto, Canada-based firm, Mark has overseen its growth from 290 real estate professionals to more than 2,300 professionals in 77 offices in Canada, the U.S., Mexico and Europe. Deloitte and CIBC named Avison Young one of Canada’s Best Managed Companies the last five years in a row (and a Gold Standard winner since 2014). In December 2015, Real Estate Forum magazine ranked Avison Young the No. 1 Fastest-Growing Company in the commercial real estate industry (Large Companies category), based on revenue growth and head-count growth over a three-year period. In May 2015, Commercial Property Executive named Mark one of the 13 most innovative executives worth watching; and Queens College, City University of New York, presented its Alumni Award to Mark. The award honours individuals whose successful careers and dedication to philanthropy and public service serve as models for Queens College students. In December 2015, Mark received an honourable mention for Commercial Property Executive’s Service Executive of the Year Award. Mark joined Avison Young after holding executive positions at two publicly traded global commercial real estate firms, Grubb & Ellis Company and Jones Lang LaSalle. Prior to his 12 years at Jones Lang LaSalle, he ran Metropolitan Realty Advisors, the brokerage and investment firm he founded in 1993. Previously, he was chairman, chief executive and chief financial officer of the U.S. Real Estate Investment Trust of the British Coal Corporation Pension Funds. Mark earned a BA in accounting from Queens College, City University of New York, where he served in the student senate, held student government positions, and played on the men’s varsity hockey team. In addition to serving on the Queens College Foundation’s board of trustees, he is a member of the real estate advisory board of the University of Miami Business School and on the board of directors of LiquidSpace. Mark coaches developing leaders through the NAIOP Greater Toronto chapter mentorship program. He has served as a board member of Chicago Shakespeare Theater and the Chicago Botanic Garden.